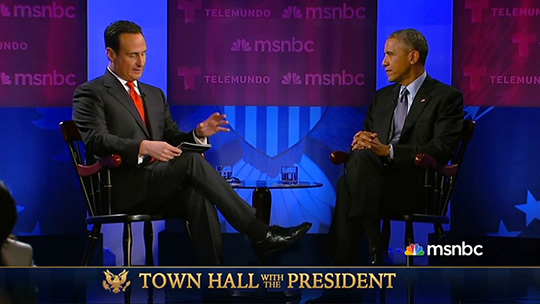 MSNBC and Telemundo hosted a town hall with President Barack Obama Wednesday from Florida International University. 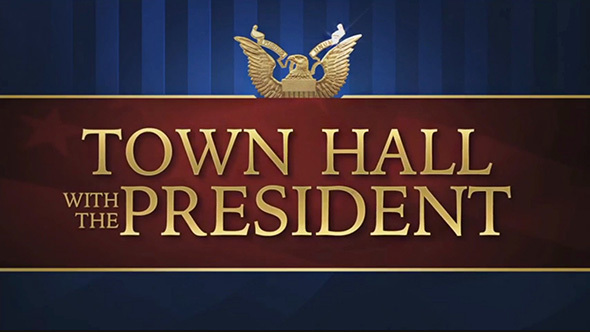 Graphically, the two networks shared an overall look (based on MSNBC’s State of the Union/Presidential Address graphics package), with each adding a few elements. 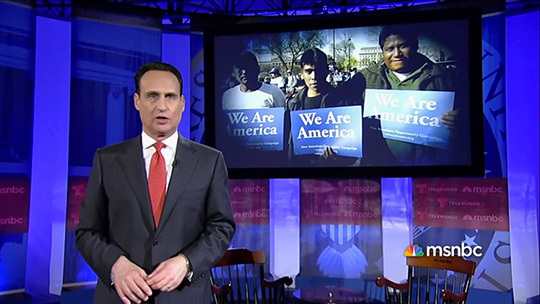 The taped program aired in primetime and began with Jose Diaz-Balart introducing the town hall (recorded twice in English and Spanish), following by a pre-produced opening with time-lapse footage and images of the immigration debates around the United States. 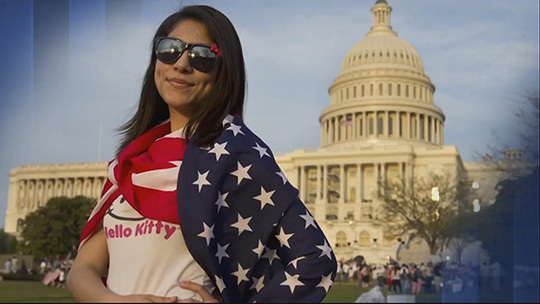 A small bar anchored the bottom of the screen. 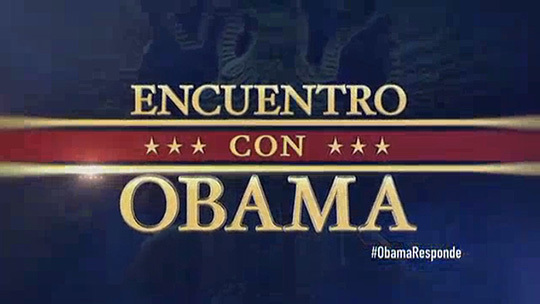 On MSNBC, just a bug was present with no top bar. 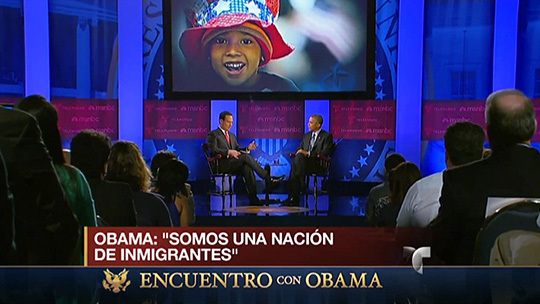 Telemundo opted to display pull quotes and questions. 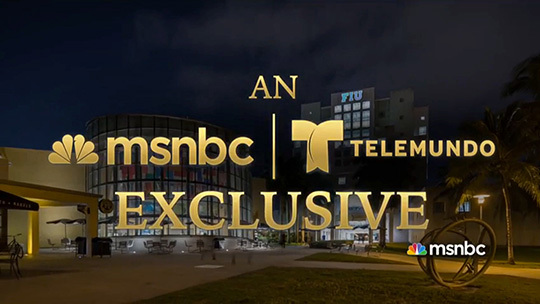 Scenically, the setup used large graphic banners with the MSNBC and Telemundo logos repeating. 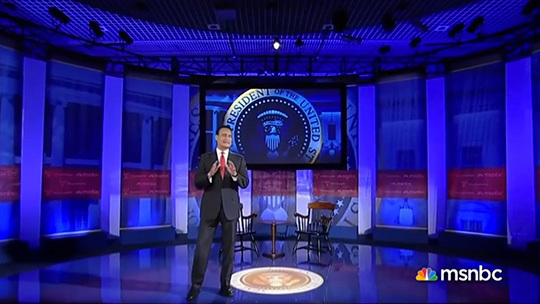 A rear projection screen was above the seated position and included imagery throughout the discussion. 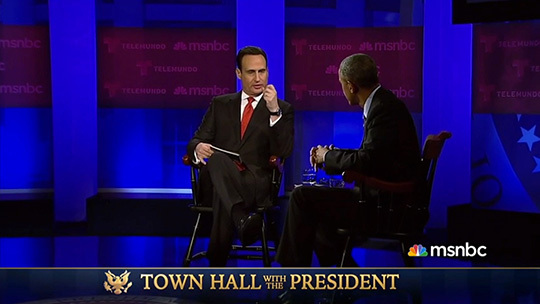 The Lighting Design Group and Senior Designer Steve Brill lit the stage.